Order within the next... 14 hours, 9 minutes, 57 seconds ...for dispatch today! 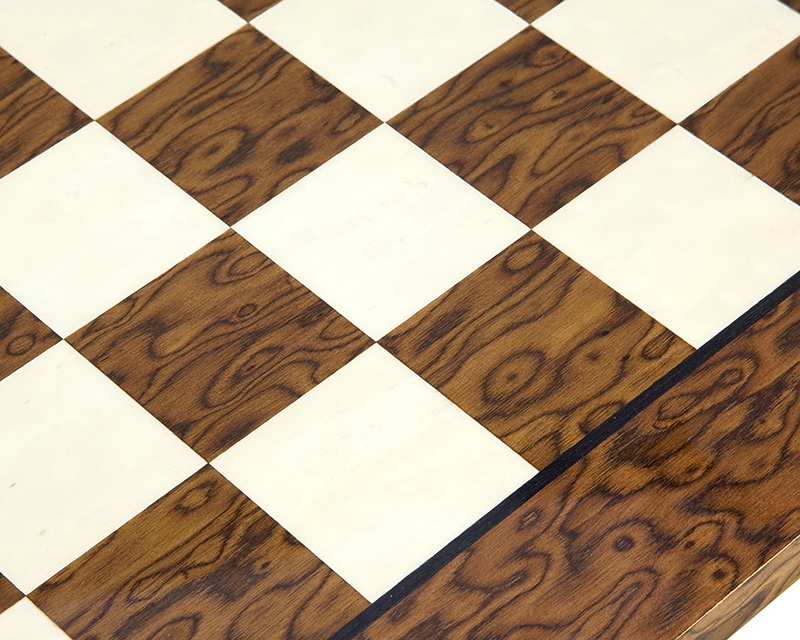 Stunning combination of Cocoa Burl Ash and White Erable. 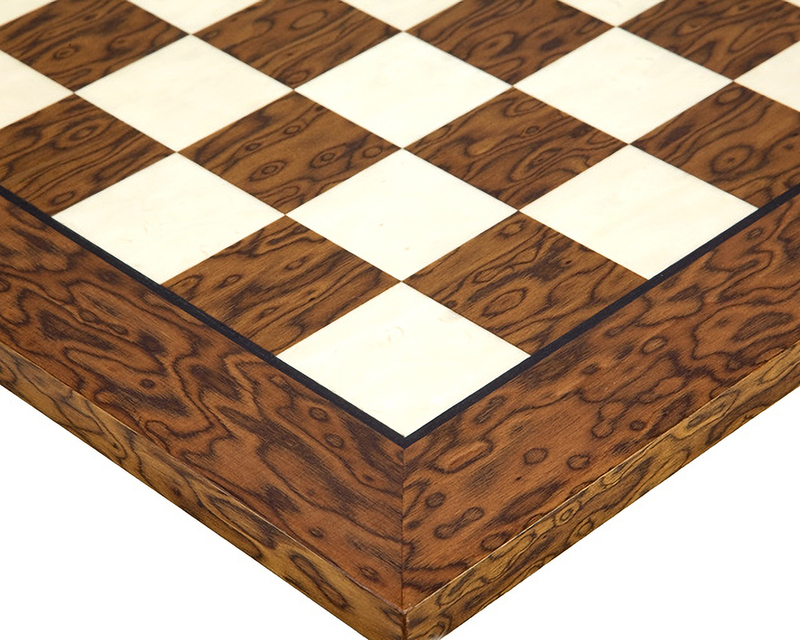 17.75 inch quality Cocoa Burl Ash and White Erable chess board produced by quality chess artisans, Rechapados Ferrer S.A. of Spain. 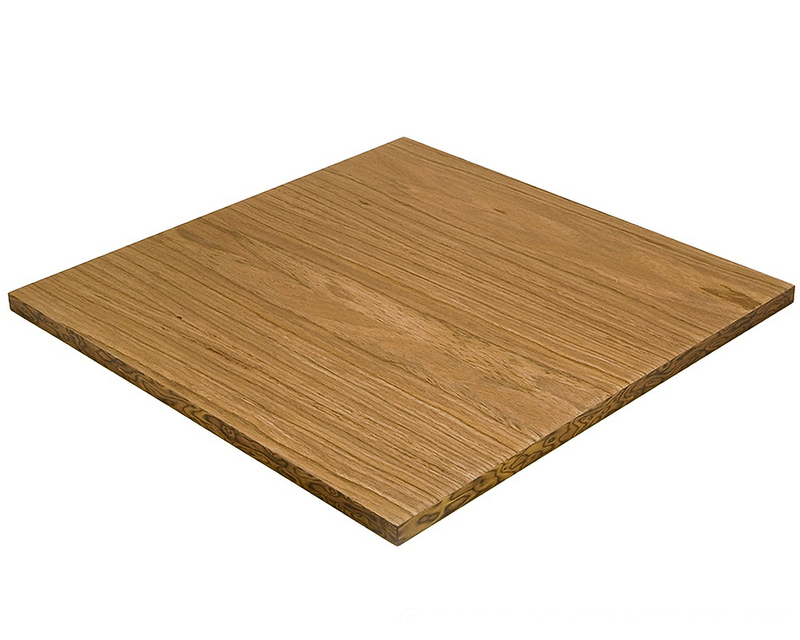 Finished in a high gloss lacquer with a quality veneer construction, this board is constructed using the latest fabrication techniques. The deep brown burl grain and patterning looks wonderful under the rich lacquer. 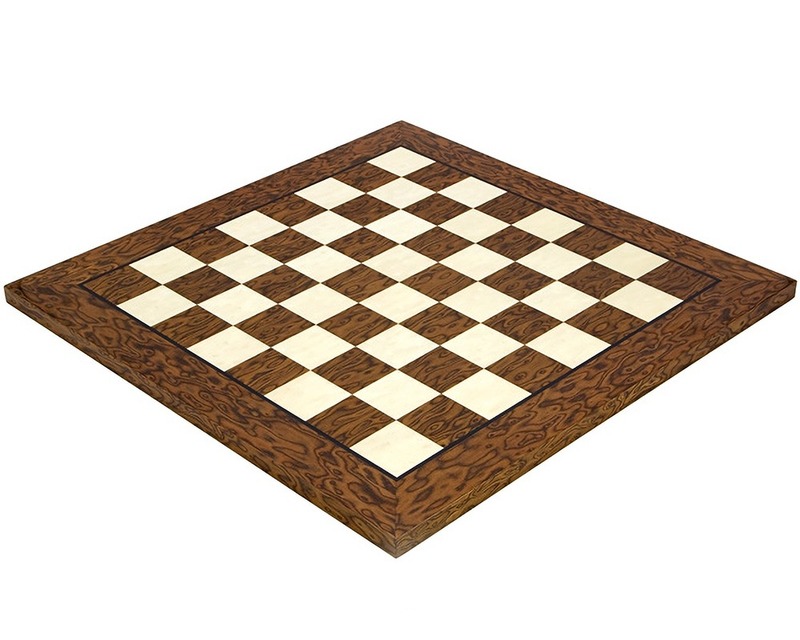 Perfect for accompanying with chess piece king heights of 3.25 inches in Ebony, Rosewood or Golden Rosewood.